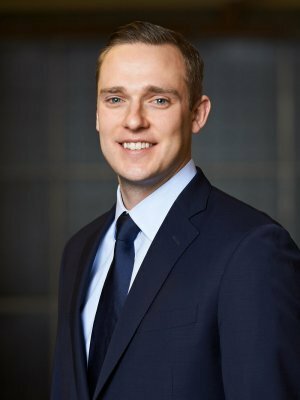 Will Elwell has been with Antaeus Wealth Advisors since 2013. He is committed to establishing meaningful relationships with his clients to help them implement comprehensive, objective financial planning strategies. Will firmly believes that individuals who know where they stand have a substantially increased likelihood of achieving their goals. As a CERTIFIED FINANCIAL PLANNER™ (CFP®) and an Accredited Investment Fiduciary (AIF®), Will has a moral, ethical and legal obligation to put client interest before that of his own. Clients rely on Will to guide them through a complex financial landscape while staying disciplined in volatile markets. He focuses on assisting emerging wealth couples and members of the medical community to clarify and accomplish their lifelong goals. By staying abreast of rapidly changing markets, tax legislation and political environments, Will helps his clients efficiently manage their wealth. Will holds a B.S. from the University of Vermont majoring in finance with a concentration in English. In his free time Will enjoys tennis, baseball, and spending time on the North Shore with his wife Brooke.